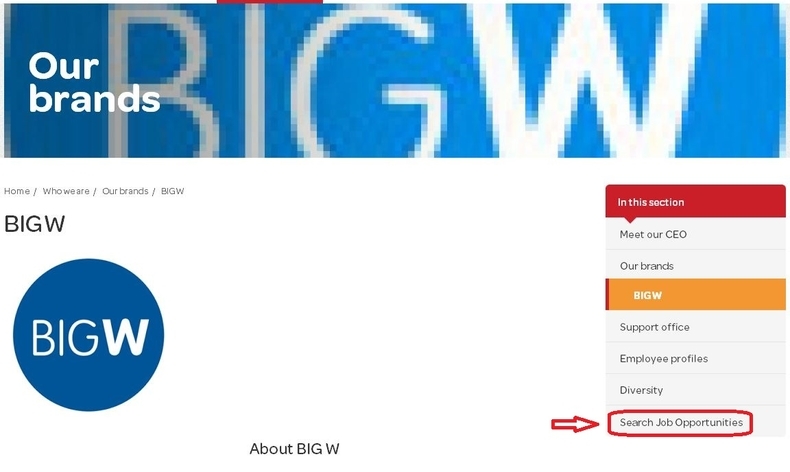 Visit Big W career page at bigw.com.au/careers and click "Discover more" to know about the careers at Big W or you can browse the two categories: Retail and Support Office to view job opportunities under the specific departments. Click "Search Job Opportunities" to find an job opportunity for you. 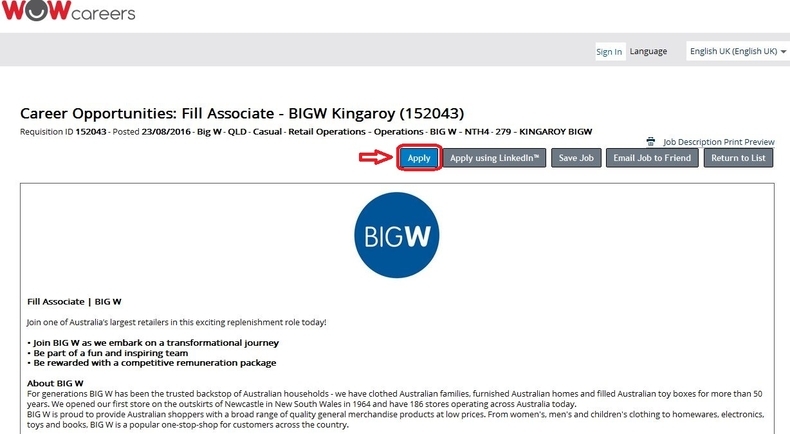 To search job opportunities at Big W, you need to select the Big W from the drop-down menu of brand item on the left. 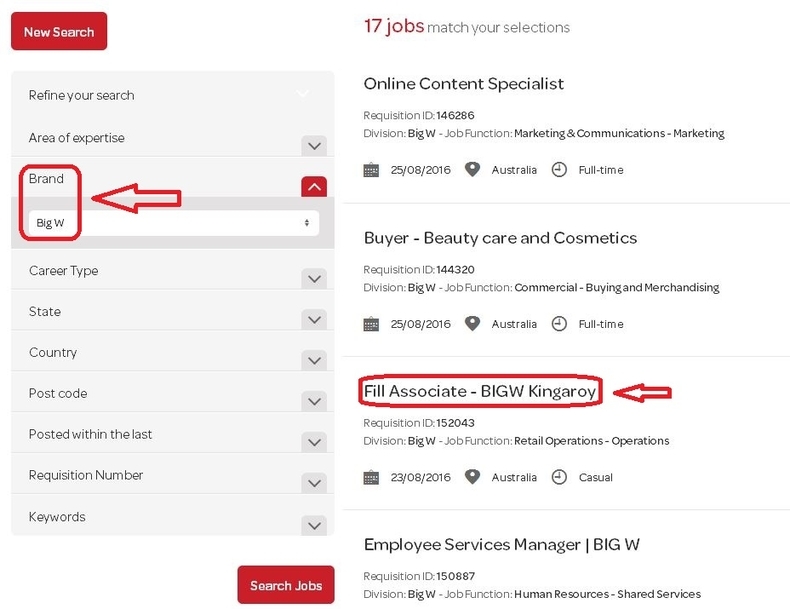 You can filter the job openings list by career type, country or other items, or browse the entire job openings list for the position you are interested in. You can click the title of the position to move on. 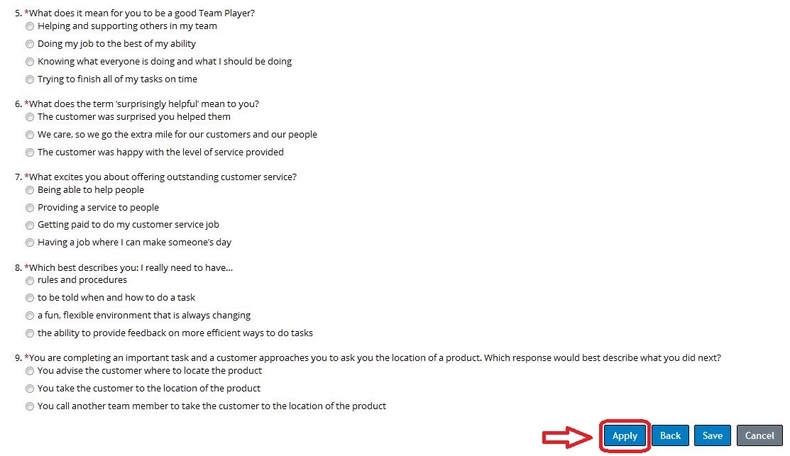 After you click the job title in the last step, you are directed to the page shown below. Read the information about the brands, the position and requirements carefully and consider whether you are going to apply for the position. If yes, you can "Apply" to start. Before starting your application, you need to sign in. If you are not a registered user yet, you need to create an account. Complete your candidate profile like general information, as well as information related to your employment history, education, professional certifications, language skills etc. The fields marked with asterisk are required information. Finish all the required fields and click the "Next" button to continue. Finish the application form by answering the given questions. After finishing all the required fields, you can click "Apply" to submit your application. When you finish your application, you can return to search other opportunities or to view the jobs you have applied for. 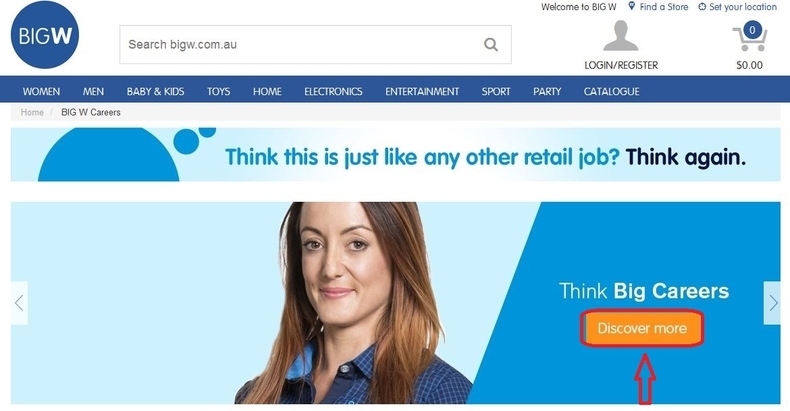 Click bigw.com.au/careers to apply for Big W jobs online.